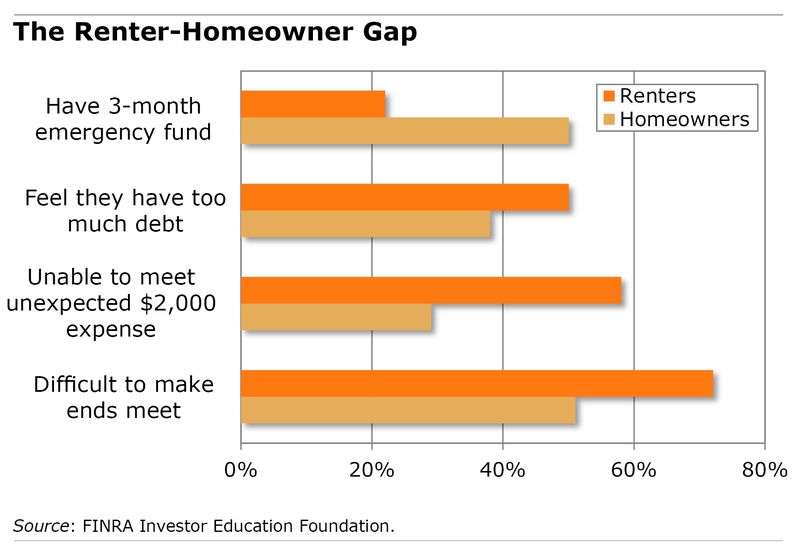 The FINRA Foundation chart below contrasts the personal financial situation for renters versus homeowners, based on a 2012 survey. The jobless rate has declined since then, but the rental market has only tightened. Rents have continually increased in recent years, reports Reis, a real estate tracking firm. And 85 percent of property managers nationwide reported they raised rents over the past year to capitalize on a decline in the number of vacant rental units, which continues in 2014, according to Rent.com. Housing costs in particular are becoming a burden for a growing numbers of older Americans. The FINRA Foundation also notes a broadening of the U.S. renter population. While renters remain younger and more racially diverse than the nation as a whole, groups with traditionally high homeownership rates – married couples and high-income and white households – are also renting more than they have in the past.